Unbelievable! So Complex yet so Smooth. Wonderful Stuff! A must have for the top shelf. 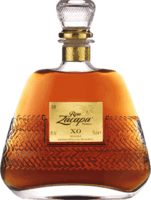 Ron Zacapa XO Great Presentation and delivers the goods. Not quite as sweet or liqueur-like as Diplomatico Excluseva Reserva. Very nice smooth sipping rum. beautiful! One of the Greats in the Rum world. If it wasn't so expensive I would use it as a daily sipper. 15 YO is a lot cheaper, and isn't that much different. Demerara Enmore 1993 Expensive but worth a crack if you get the chance. Oak, definitely can feel the 21 years of aging here. Not overly sweet. Perfect mixer. Great as a mixer with coke or in cocktails. I probably wouldn't drink it neat myself but I am sure a few do! Great sipper Great presentation - With a handy little leather pouch. Sweet, without overdoing it. If my memory serves me right its a blend of 4 year old rums. Average Didn't really get me excited - harsh, probably good as a mixer. I must admit it was probably the packaging that caught my eye!